How can we help you give your residents better care? We can give you more time, and give you a lot less to worry about. Besides investing in the best people, Infinity Pharmacy Solutions has invested millions in the world’s best technology – and continues to do so – in order to provide the most advanced, most accurate and most convenient pharmacy services in the country. 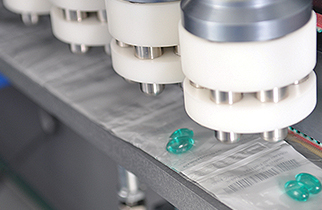 Our Accupak™ prescription service utilizes onsite Xana automation technology to fill and process our Accupak™ medication packages, as well as print each one with customized dosage date/time and drug information. From the start of the medication order process, to the time of delivery, our systems are fully integrated and monitored. 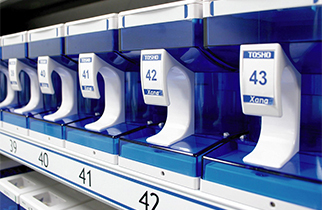 Infinity Pharmacy Solutions is the first pharmacy in North America to offer a combination of the Tosho Xana and Global Factories MDM3 medication detection systems. 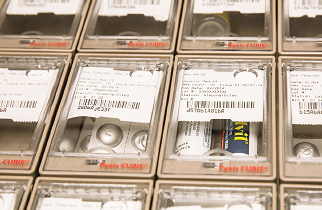 Our detection units validate each pouch visually using high-speed cameras, then cross check them multiple ways against a comprehensive medication database. To help ensure the right pills are going to the right resident, any irregularities are flagged and further verified by a registered pharmacist. Utilizing the OnBase™ paperless pharmacy system for order and refill tracking, we are able to provide the utmost in speed, accuracy and convenience for our customers. We help you make the most of your clinical data – and enable better care across the board – by providing full electronic health record integration with our systems. With our FrameworkLink™ system, communication between the pharmacy and the community is seamless and instantaneous. The system allows secure instant messaging, refill order requests, drug quotes and much more. This makes communication and documentation from your staff to ours easy, confidential and efficient. Infinity Pharmacy Solutions uses the world’s best technology to provide the most advanced, accurate and efficient medication management services to long-term care providers and their residents.